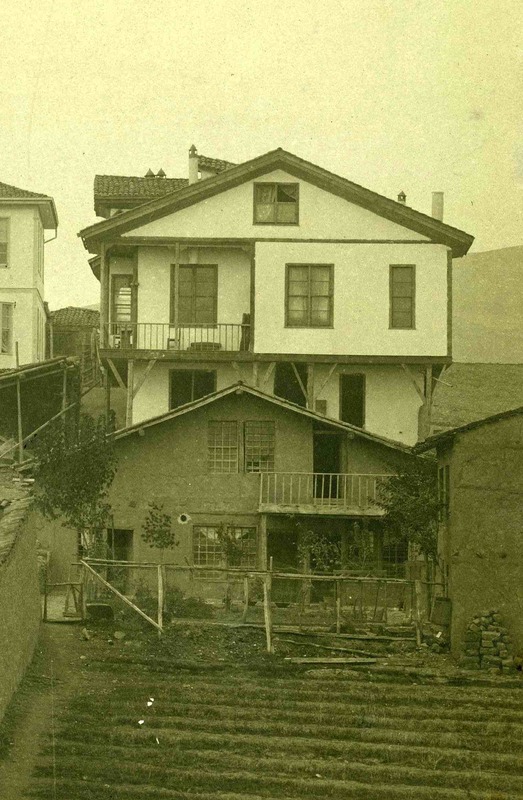 In the summer of 1915 Tsolag Dildilian and his family converted to Islam and adopted Turkish identity as a condition for remaining in their hometown of #Marzovan (Merzifon) in north-central Turkey. Like many “hidden Armenians,” they postured as Muslim Turks in public, but never swayed from their Armenian Christian identity at home. In so doing they were able to rescue and hide significant numbers of young Armenian men and women during the Genocide. The Dildilian family home in Marzovan just prior to the 1915 deportations and Genocide. Dr. Armen T. Marsoobian, Professor and Chair of Philosophy at Southern Connecticut State University, will tell the story of the Dildilian-Der-Haroutiounian families and describe daily life in a Genocide-era Turkish city where the only remaining Armenians were those who had purportedly adopted Turkish identity. Prof. Marsoobian’s presentation is based on extensive family memoirs, letters, oral testimony and scores of historic photographs. Entitled, Resisting the Darkness: The Story of an “Islamized” Armenian Family in #Marzovan (Armenia) 1915-1919, Marsoobian’s richly illustrated presentation will take place at the Zohrab Center on Thursday, May 29 at 7PM. The lecture is free and open to the public. A reception will follow. For further information contact the Zohrab Center at zohrabcenter@armeniandiocese.org or (212) 686-0710. Of the approximately 12,000 Armenians living in #Marzovan and its associated villages, a small number remained behind at the conclusion of the deportations in August 1915. The heads of these households held occupations that were deemed essential to the economy of the city. They were allowed to remain on the condition that they convert to Islam and adopt Turkish identity. Tsolag Dildilian was a military photographer and was given such an opportunity. He was thus able to save members of his immediate family in #Marzovan. These “hidden Armenians” took advantage of their new “Turkish” identities to rescue and hide significant numbers of young Armenian men and women during the genocide. The family maintained a dual identity, living their Christian faith and Armenian identity at home but living as Muslim Turks in the community. Upon the conclusion of the war, the family played an important role in rescuing orphans and restoring the Armenian identities of the converts. With the rise of the nationalist movement, the family’s activities in support of Armenian survival became suspect, forcing them to flee Turkey in 1922. Dr. Armen T. Marsoobian is Professor of Philosophy at Southern Connecticut State University and a Genocide historian. Armen Tsolag Marsoobian is Professor and Chairperson of Philosophy at Southern Connecticut State University in New Haven. He has twice been the Ordjanian Visiting Professor in Armenian Studies, Department of Middle East, South Asian, and African Studies, at Columbia University where he has taught a graduate seminar, “Memories of the Armenian Genocide: An Exploration through Memoir, Literature, and the Arts.” He has co-edited five books, including Genocide’s Aftermath: Responsibility and Repair (with Claudia Card, 2007), The Philosophical Challenge of September 11 (2004), and The Blackwell Guide to American Philosophy (2004). 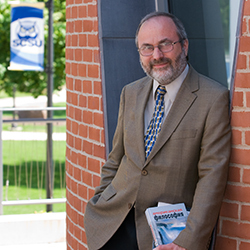 He has published articles and book chapters in aesthetics, moral philosophy, genocide studies, and American philosophy. His essay, “Rescue in Marsovan: The Untold Story Behind a Photograph,” won the Hrant Dink Prize for Historical Research in 2011. He has organized a series of exhibitions in Turkey based upon the Dildilian family collection of Ottoman era photographs including a recent exhibition at the Sourp Giragos Church in Diyarbakir (Dikranakerd). Books based upon the family story and photography collection will appear in Turkish and English in the coming year.